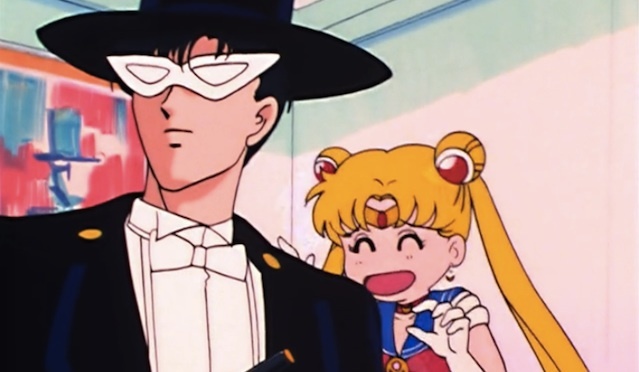 While the idea of a masked hero coming to save the day isn’t exactly novel or unique, nor was Sailor Moon the first media in which one appeared, one thing that always did seem special about Tuxedo Mask was that he dressed up in such a fancy outfit while he did it. In some odd way, it seems oddly fitting for a high school/college student to dress in a suit and cape while throwing roses to save sailor-suited soldiers of justice. What a lot of people don’t know, however, is that there’s actually quite a bit of history to the creation of the character of Tuxedo Mask, from a popular Japanese character based on the Japanese adaptation of a French story, and has connections going back nearly one hundred years, and even has overlaps with the Sherlock Holme franchise. 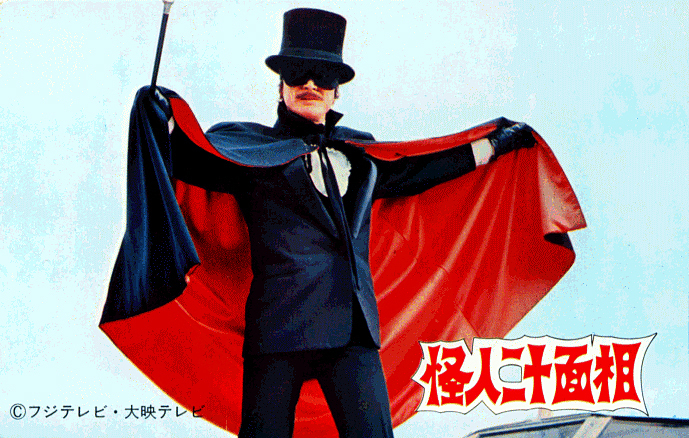 So who was the source of inspiration for Tuxedo Mask, and where did Ms. Takeuchi pick up the basis for his design? The first and most direct connection is to the character known as the Fiend With Twenty Faces,1 who has appeared in multiple radio dramas, movies, live-action television dramas, anime, manga, and even games in addition to the books he made his original debut in. 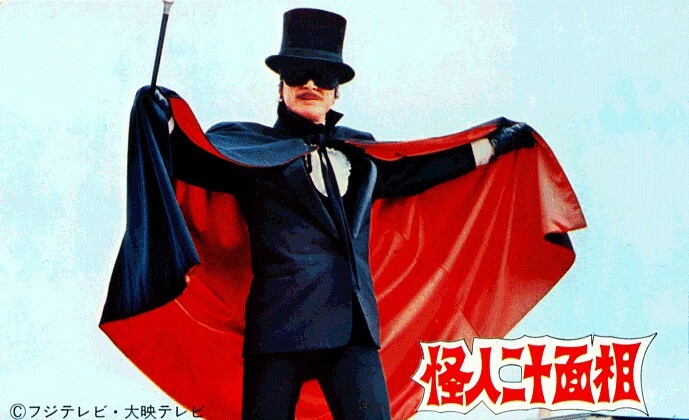 Image-wise, the most obvious connection with Tuxedo Mask is the 1977 television drama starring Katsumasa Uchida in the titular role as the Fiend himself.2 From the top-hat to the cane and all the way down to the black cape with red fabric on the inside, the design is a dead ringer for Tuxedo Mask. This character and story are based off of the book of the same name written under the pen name of Edogawa Ranpo3 in 1936. Story-wise, the connection doesn’t end there. After Usagi first meets Tuxedo Mask, defeats Morga, and saves Naru, she comments aloud that “He’s just like Lupin the Thief…” as he jumps away.4 This “Lupin the Thief” (怪盗のルパン; kaitou no rupan) she’s referring to, of course, is the famous Japanese manga-turned-anime character, Lupin the Third,5 probably most well known from the work done by Director Hayao Miyazaki’s debut work on a feature-length animated movie, The Castle of Cagliostro.6 This also gives us something of an idea of where Ms. Takeuchi may of originally intended to go with the character of Tuxedo Mask – that of a mysterious thief trying to steal the steal various gems that might be the Silver Crystal – as opposed to the direction that the anime went with where his intentions may be mysterious, but he’s pretty clearly there to help Sailor Moon out of a bind. Now Lupin III himself has a pretty deep and varied history in his own right which, for the sake of brevity,7 I’ll have to leave you to read up on your own. However, another thing that’s interesting about him is that the inspiration for his character was… well, let’s say borrowed from the character created by French author Maurice Leblanc8 named Arsène Lupin,9 supposedly the grandfather of the Japanese manga character Lupin III. 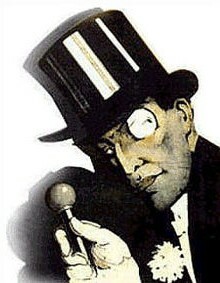 In a manner very-much befitting a fictional story about thieves, it turns out that the author of the Lupin III manga, Monkey Punch,10 wasn’t the first one to steal the character of Arsène Lupin. In fact, he first entered Japanese popular culture in The Golden Mask (黄金仮面; Ougon Kamen),11 a novel by Edogawa Ranpo published in 1930. My work here is done…! So where does that leave us in this convoluted story? Well, it looks like the most obvious connection for the inspiration behind Tuxedo Mask’s character would be Lupin III, but from what we’ve learned from analyzing Ms. Takeuchi’s work, the most obvious answer isn’t always the correct one. 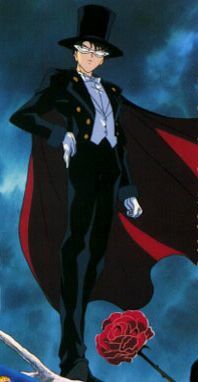 What we ultimately end up with is that the design for Tuxedo Mask is stolen inspired heavily by a character – The Fiend With Twenty Faces – invented by Edogawa Ranpo while his character traits seem to be inspired by the gentleman thief, Arsène Lupin, who was created by the French author Maurice Leblanc and popularized in Japan by Mr. Ranpo. Just as one final interesting note, the inspiration for the name of Conan Edogawa13 of Detective Boy Conan / Case Closed fame comes from a cross between Conan Doyle and Edogawa Ranpo (which is itself a pen name that is a word-play on the name Edgar Allen Poe). It’s good to know that, as usual, Ms. Takeuchi doesn’t disappoint in her interesting research and deep references behind characters and their personalities! ← How Different Was the Pacing of the Sailor Moon Anime and Manga? Naoko Takeuchi even planned the character to be named “怪人2098面相” (according to one of the four-panel comics in the second manga edition; her comment on that basically amounts to “the heck is that?!”). So, indeed, *very* heavily inspired. Ah, totally missed out on that in the back of the second manga editions. She put a lot of great information back there on the inspirations for the characters, though I wish she put more for the later characters added to the series (there’s a surprising lack of information on the Outer Senshi and the Starlights)! Yup. Takeuchi’s notes are an excellent source of research, because even though a lot of her initial ideas never made it into the final version, some of them still influenced the story and characters in many ways. Like how she revisited the idea of a cyborg girl with Hotaru after not being able to develop it with Mercury. Oh, wow, I never actually knew about the Endo connection, but it definitely makes a lot of sense with the poor guy who Mamoru took over (speaking of… whatever happened to the poor guy?? Did he just die?). Makoto was, in fact, named “Mamoru *Chino*”, Earth reference and everything! It looks like Takeuchi came up with Tux’s character back when the anime project was in the early planning stages, and according to the Volume Infinity of the illustration collection the senshi were going to have a different naming pattern – after deities instead of planets, which is why Minako’s last name ended up being an odd one out after they went with a different idea. Makoto’s original name is a reference to Gaia, apparently. It’s not even clear when exactly the name change occured; there’s a possibility that Usagi got the last name of “Tsukino” primarily in reference to Selene rather than to the Moon in general (since Selene is even mentioned in the final story, with Queen Serenity supposedly being her incarnation). It’d help if I bothered to read my own articles… I actually wrote about this before. =p I’ve actually wondered for awhile if, before the Tuxedo Mask concept came along, if the inner soldiers were originally supposed to be from Mercury to Mars, and Makoto was supposed to be Earth — just another Sailor Soldier. I have no real good reason to think that, sadly, but I do find it interesting that there are so many early concept materials for the five girls and their alter-egos, but very little for Mamoru/Tuxedo Mask. At the very least, his concept definitely came along later. There’s also an interesting rumor on Japanese blogs that Jadeite was the original design for Usagi’s love interest, but he looked too similar to another manga hero at the time, so the design was relegated to the villain. I haven’t been able to confirm that though. Makoto’s connection, as you explain it, also makes a decent amount of sense when you consider her earth/flower/’nature’ power and connection. I need to look through the Infinity book again soon, since she definitely seemed inclined to open up more once Sailor Moon was basically done.